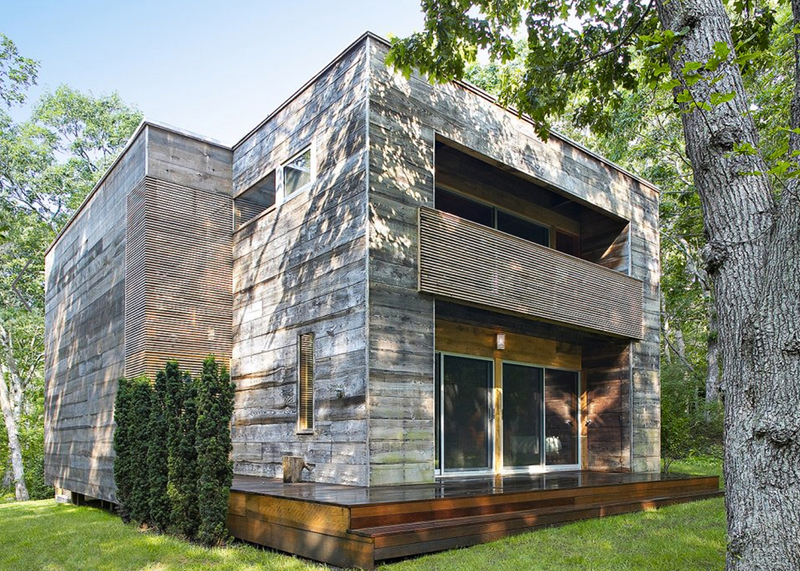 When the new owners of this beautiful woodland home on Long Island decided they needed some extra space, they contacted the same architects that built the property 35 years before: Bates Masi + Architects. 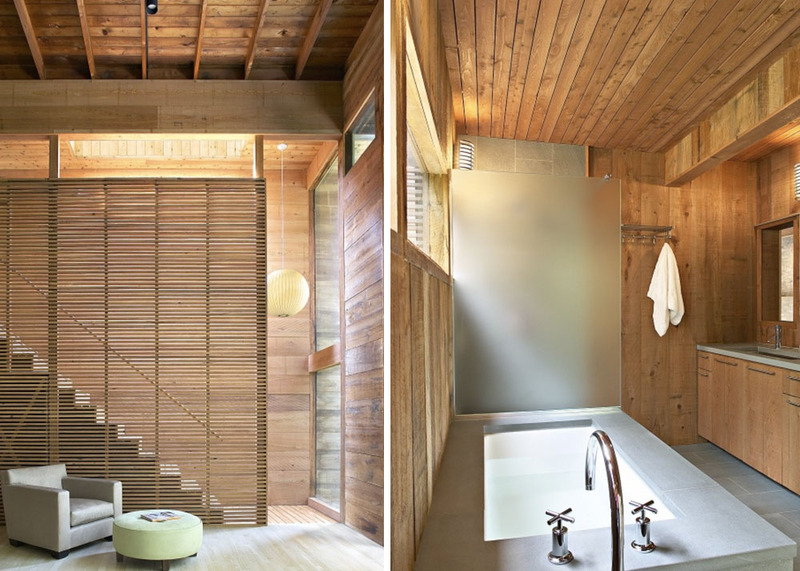 The New York-based creatives worked to update and expand the Re-cover House, preserving its original spaces, simplicity and rustic soul. 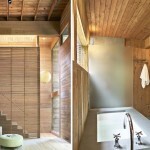 Clad in beautifully aged silver cypress wood, the house’s entire renovation re-uses materials from the original design. 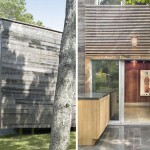 Situated in a leafy area of Amagansett, Long Island, the Re-cover House’s evokes the aesthetics of an old woodland cabin. 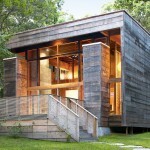 Its cubic shape is completely clad in 12-inch wide cypress boards that have turned a silver shade with time. In order to accommodate the new inhabitants’ needs, the architects enlarged the kitchen and dining areas, updated the bathrooms and modernized the interior spaces while still remaining loyal to their own original ideas. 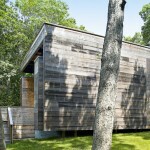 And rather than investing in new materials, the architects used salvaged wood and supplies leftover from the previous design. 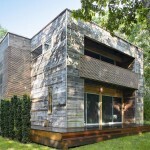 A demolished south-facing wall was used for new custom made stairs that hint to the past in the open bright interiors. We wish this beautiful house at least 35 more years to come! 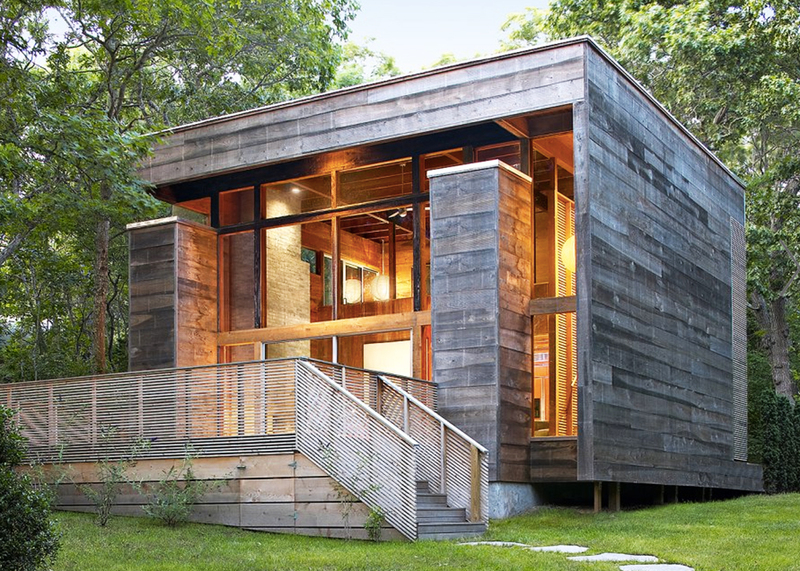 Browse more of Bates Masi + Architects’s projects at their website.